Bharat Sanchar Nigam Limited, the state-owned telecom operator has launched a new Rs 299 plan to counter the competition being raised by the private carriers. The government led operator, however, has made this plan available only to the new users of BSNL. This means that only the subscribers who decide to get on the BSNL network will be eligible for this offer. As part of this offer, BSNL is shipping 31GB FUP data, unlimited calling and unlimited texts to its subscribers. Although the data will be unlimited as well, the post FUP speed will be 80 Kbps. With this plan BSNL plans to expand its postpaid subscriber base, as such, the telco hasn’t made this offer open for all and has limited it only to new subscribers. Digging into the details of this new postpaid plan from BSNL, it offers a total of 31GB data every month. Like other BSNL postpaid plans, the data benefit is unlimited as BSNL provides after FUP speed of 80 Kbps with this plan as well. Users will also be able to make unlimited voice calls to any network in BSNL service areas, which means that the telco is not providing free voice calls to Mumbai and Delhi circles. For the unknown, BSNL has its operations in 20 telecom circles, while other government-owned PSU, MTNL operates in Mumbai and Delhi circles. Lastly, users will also be able to enjoy 100 SMS per day during the rental period. While the price of the plan has been set at Rs 299, additional GST charges will be added to the final bill at the end of every rental month. Private telcos such as Bharti Airtel and Vodafone Idea Limited are giving users an additional benefit with their postpaid plans. Both the telcos offer data carry forward feature which means that users will be able to carry forward the current month’s unused data to next month. Right now, am on an Airtel’s customised Rs 349 postpaid plan which is giving me 30GB of data every month with carry forward up to 500GB, unlimited voice calls and unlimited SMS during the rental period. Right now, in my Airtel account, I have 330GB of data stored, which is the benefit of having carry forward feature. Bharti Airtel is yet to launch a Rs 299 postpaid plan, but Vodafone India has a RED Basic plan of Rs 299, providing data, voice and SMS benefits to its users. Vodafone’s Rs 299 postpaid plan comes with 20GB of data every month along with unlimited voice calling without any FUP limit and 100 SMS every month. 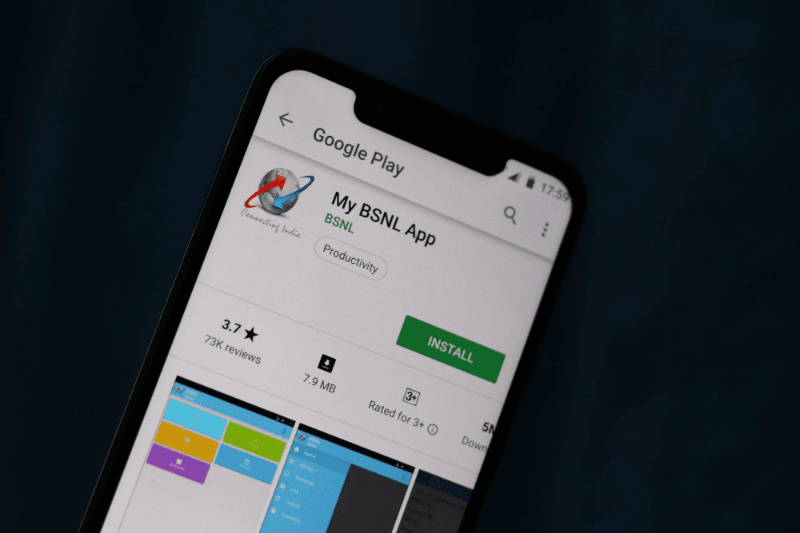 BSNL certainly has an advantage in the data benefit as it provides a total of 31GB data every month, but the lack of carry forward feature means users will have to consume the entire 31GB data to justify themselves. That’s not a worry with Airtel or Vodafone Idea Limited. Is BSNL Rs 299 Postpaid Plan Better Than JioPostpaid Plan of Rs 199? Firstly, BSNL’s plan costs a Rs 100 more than that of JioPostpaid plan, but it comes with 6GB more data benefit than 25GB data benefit we get with the JioPostpaid plan of Rs 199. Both the telcos are offering unlimited voice calls, but on Jio, users can make unlimited calls even to Mumbai and Delhi circles. And the SMS benefit is similar at 100 SMS per day. BSNL has also implemented the data carry forward feature in one of the postpaid plan of Calcutta Telecom District. But, Airtel tends to charge for 1860 number calls, and also has severe POI problem with Jio during peak hours.